Your private key and Litecoin address. If you remember from "Understanding Wallets," a private key is an alphanumeric string of characters that's tied to your public key which is used to derive your Litecoin address. Seedkeys are also used in Hierarchical Deterministic wallets to derive your private keys, public keys, and Litecoin address. Therefore, private keys and seed keys will be the information you'll need. This step is not necessary. But if you simply write down your private key or your seedkey and leave them in plain sight, you put your LTC at risk of being easily stolen. Therefore, one option you have is to convert both the private key and the LTC address into QR codes. 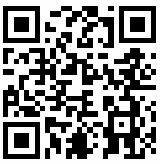 Generate the QR code yourself. This means you take a LTC address from a wallet you have as well as its corresponding private key or seedkey and input them into a QR code generator. Be careful of suspicious websites. There are many out there designed to steal your private keys. It's never really good practice to input your private keys/seedkey into any website. Use liteaddress.org. This is a trusted website to generate wallets. Wiggle your mouse until a private key and public key are autmoatically generated. Buy a paper wallet from a paper wallet store, but this isn't ideal because you are trusting that they won't save or copy your private key. Print the QR codes of both the Litecoin address and private key. Anytime you want to send LTC into this paper wallet, scan the QR code of the LTC address . Or, just keep the LTC address in a word doc for you to copy and paste. Don't do this with your private key. The private key is what you will need to recover and spend your LTC when you're ready, so make sure to store it in a safe place where no one can see or scan it. Some people put it in a safe, a bank, or even in a fire and water resistant casing. There are many methods to choose from. I'll cover two of the easiest ones. Perhaps the easiest method to spend your Litecoin is through loafwallet, the mobile wallet developed by the Litecoin Foundation. You can either keep your LTC there, or send it to another LTC wallet. Depending on how you generated your LTC, it may be important to spend the entire balance in your paper wallet. For example, if you generated the QR codes yourself from a LTC wallet then you should most definitely spend the entire balance in your address. The reason for this is that wallets typically create "Change Addresses" for your LTC to get sent to if you partially spend your balance. Because you most likely don't have access to the wallet you used to generate your paper wallet from, the remaining LTC will be lost because you don't have access to the change addresses. However if you created your paper wallet from liteaddress, this isn't an issue. Your Litecoin should appear in your Electrum-LTC wallet shortly.